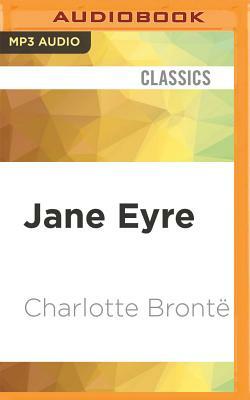 Following Jane from her childhood as an orphan in Northern England through her experience as a governess at Thornfield Hall, Charlotte Bront 's Gothic classic is an early exploration of women's independence in the mid-19th century and the pervasive societal challenges women had to endure. At Thornfield, Jane meets the complex and mysterious Mr. Rochester, with whom she shares a complicated relationship that ultimately forces her to reconcile the conflicting passions of romantic love and religious piety. Performing the early Victorian novel with great care and respect, actress Thandie Newton (Crash, The Pursuit of Happyness) draws out Jane Eyre's intimacy and depth while conveying how truly progressive Bront was in an era of extreme restraint.